On Tuesday, November 3rd, we had an amazing experience to remember, to learn, and to teach our students about the meaning of Remembrance Day and why November 11 is so important to all Canadians. 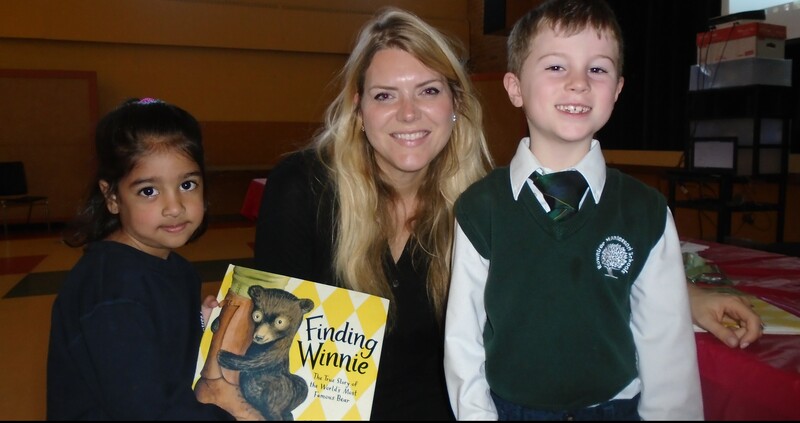 The students at each of the RMS Preparatory Campuses had the unique opportunity to meet a great Canadian author, Lindsay Mattick. Lindsay Mattick is the great-granddaughter of Captain Harry Colebourn, the World War I soldier who found and trained the bear known as Winnie. 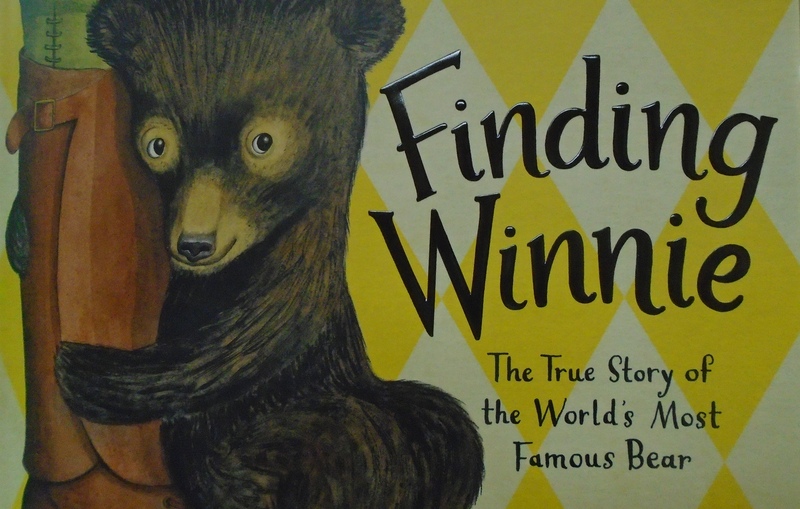 Lindsay wrote “Finding Winnie,” a children’s storybook about Captain Harry Colebourn’s bear, and how he would become the world’s most famous bear, Winnie-the-Pooh. Her storybook is full of beautiful and accurate portrayals of Canadian life and culture during the Great War (1914-1918). Lindsay encouraged the students to be courageous and to explore their own family history. 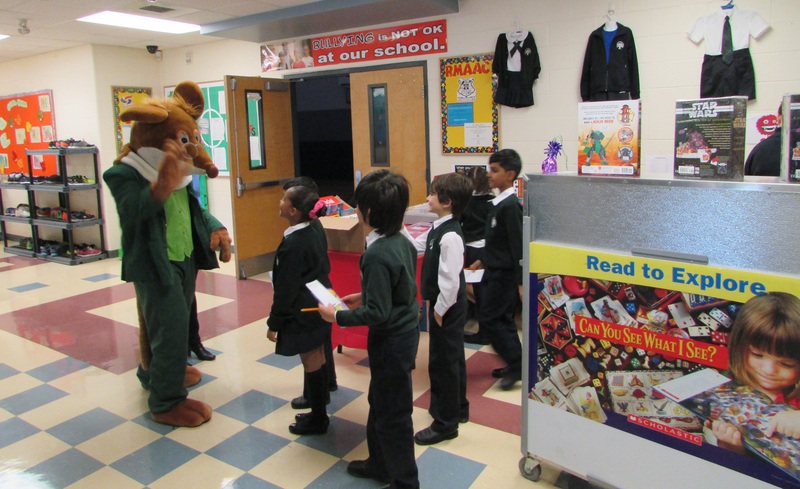 The children remained engaged and respectful throughout the reading, and they were curious to learn more about the soldier and his bear. This experience has given the students a more in-depth, yet age-appropriate, understanding of November 11 and its importance. 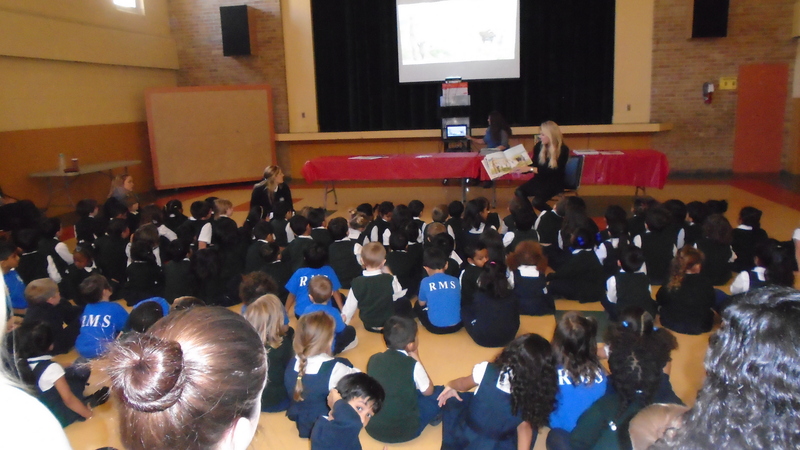 Lindsay’s story was relatable to the children on many levels: each child was able to bond with either the child or the bear, or make connections with their own family history. After Lindsay’s visit, the students continued to have many questions. With Remembrance Day fast approaching, it was the perfect opportunity to introduce the topic and engage the children in further learning. Nurturing Passionate Learners to Become Future Achievers! One of the many goals at RMS is to encourage and motivate our students to develop a life-long love for learning. As teachers, one of the greatest rewards is watching our students take pride and joy in their accomplishments. Each student brings with them their own unique experiences and situations. 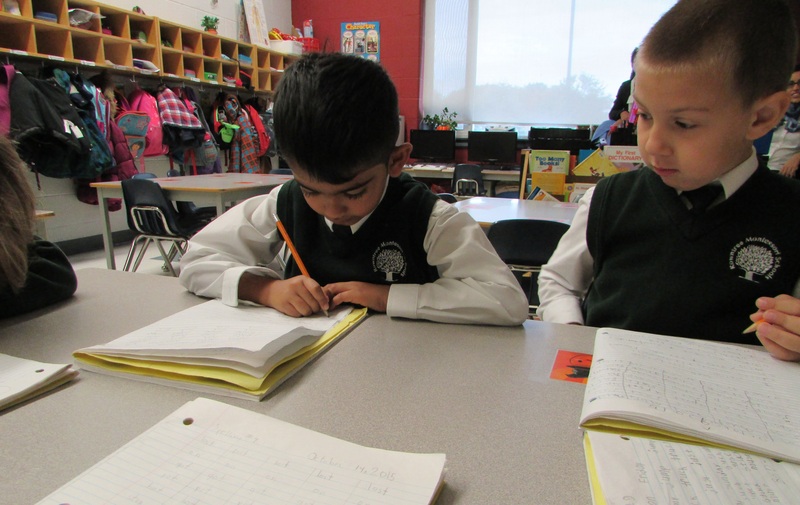 For some of them, it is not just their first day at Rowntree, it could also be their first experience in a Canadian school. 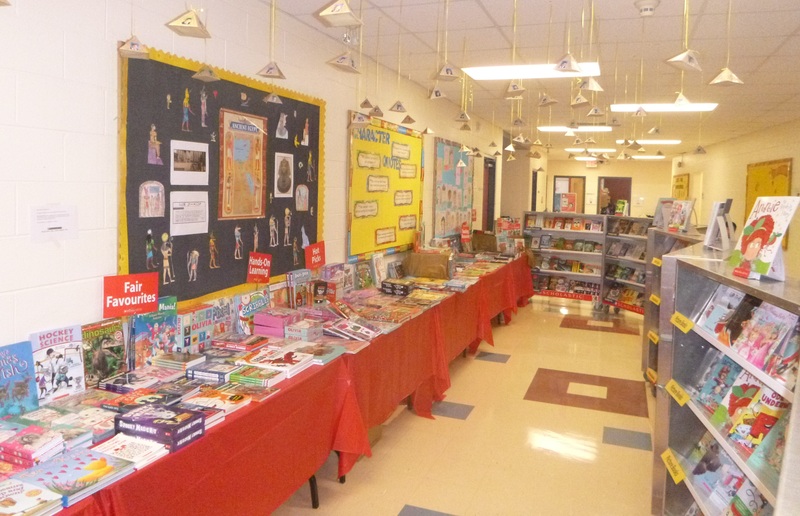 When children join the Rowntree community, they will experience/sense an enthusiastic and encouraging learning environment, and one that encourages each student to enjoy the fulfillment gained from pre-reading and writing skills, eventually building them up to become confident young readers and writers! A passion for learning is quite different from just studying to earn a grade, or to please parents or teachers. Those who develop a love for learning at an early age continue to apply their fondness of learning throughout their lives, and are generally more successful, interesting, and happier than those who do not. The accomplishments in our “Kindergarten Montessori” and “Prep ONE” programmes reflect not only a passion for learning, but also sheer dedication and commitment by the students, as well as their parents. The results achieved by the end of Prep ONE are promising signs that joining the Rowntree family will have a positive impact on children. A current RMS parent, recently commented on the great achievements her son has made academically since joining the school in September by stating that “putting my son into the Prep ONE program has been the best decision I have ever made for my son.” She is not alone in her beliefs. 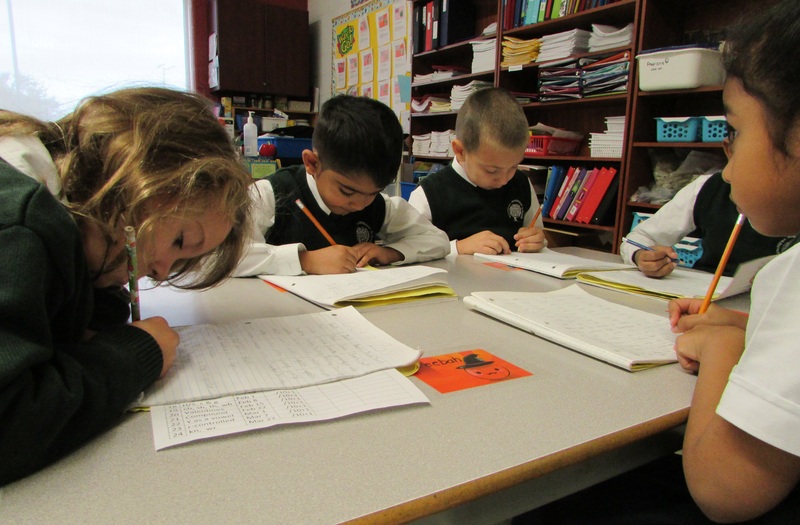 Our Kindergarten Montessori and Prep ONE programs are designed to continue our goal of fostering a love of learning, and to nurture students as they progress through their education not only during the time at Rowntree but more importantly over the course of the rest of their lives. 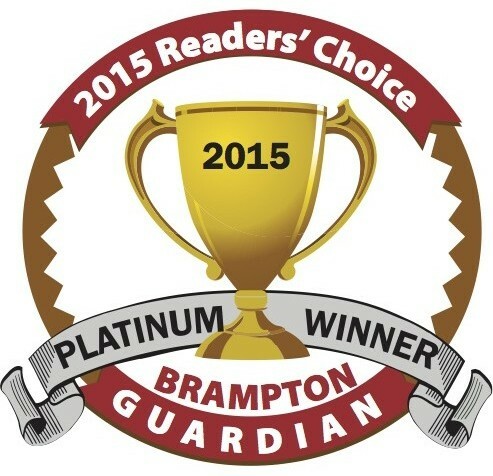 This is an exciting year for the Grade 5 students at RMS. As part of the social studies curriculum, Grade 5 students learn about the role of governments and responsible citizenship. On October 19th, 2015 Canada will be voting in a new Prime Minister. 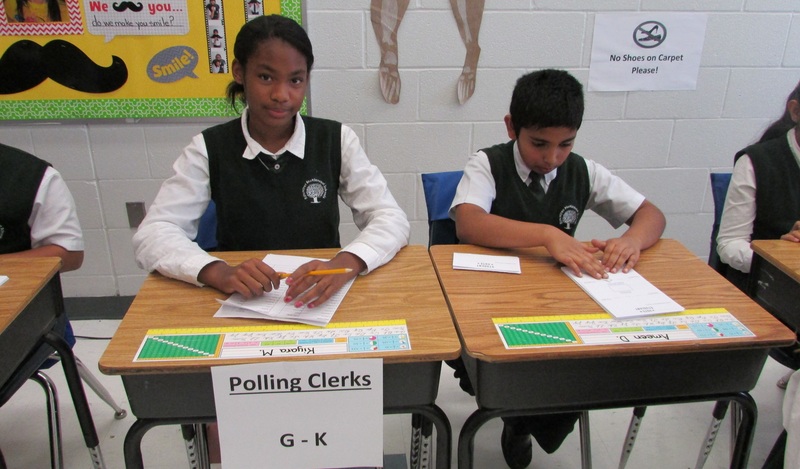 In tandem with this election, Grade 5 students conducted a mock election program called Student Vote (http://www.studentvote.ca/) on October 15, 2015. 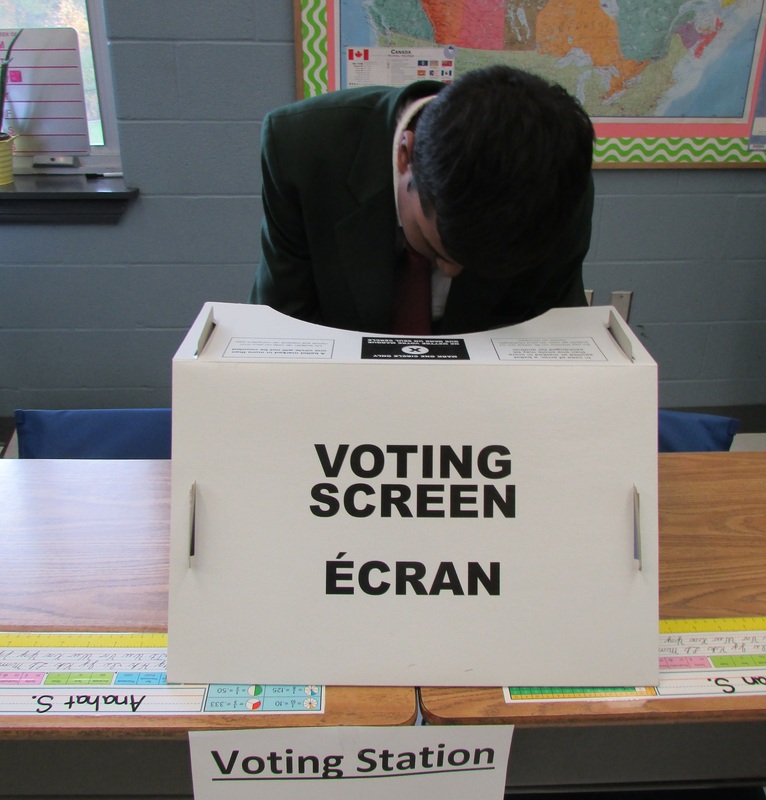 With a growing trend of voter apathy (only 61% of eligible voters cast a ballot in the 2011 federal election), civic education at Rowntree is a top priority. Student Vote is run by an organization called CIVIX (http://www.civix.ca/), a national, charitable organization that is committed to fostering in young Canadians a sense of civic responsibility and engaged, active citizenship. CIVIX provides experiential learning opportunities to help young Canadians practice their rights and responsibilities. In the last federal election, 563,000 students cast ballots from 3,750 schools. This year, Grade 5 students were responsible for educating their peers on the platforms of the parties running in our riding. The Grade 5 class visited with every class from Grades 3-8 and presented on the key issues that they felt were of concern to them (education, health care, energy, jobs, and housing) in order for their peers to make an informed decision when they voted. The Grade 5 students ran the polling stations for all the staff and students of RMS. From creating campaign posters, to preparing the voters’ list, to overseeing the ballots, the Grade 5 class ran this election from start to finish. In doing so, they developed a better understanding of the democratic process in Canada, and they are very interested to learn the results of this Federal election. What’s even more exciting is that the results of the Student Vote all across the nation will be tallied and announced during the telecast of the real election results! Results will also be published in regional daily newspapers the following day. Stay tuned to see how the youth of Ontario votes. 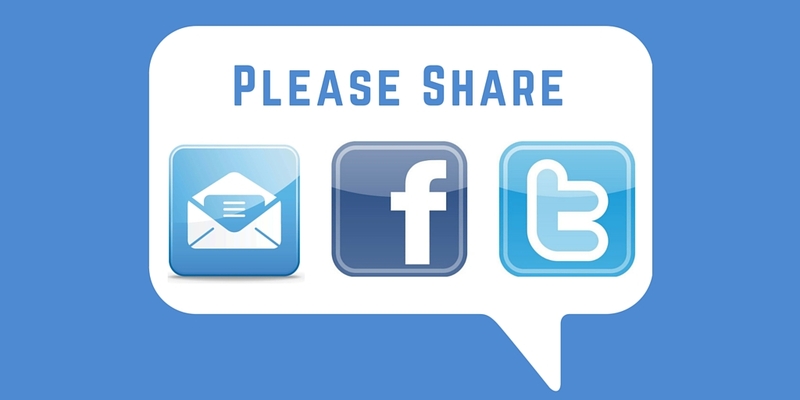 Reminder – OPEN HOUSE at all 5 RMS campuses -tomorrow night! Rowntree Montessori Schools encourages you to attend our school OPEN HOUSE at any of our 5 welcoming, friendly and family oriented campuses. Is PLAY BASED Daycare or Full-day Kindergarten sufficiently challenging your child? 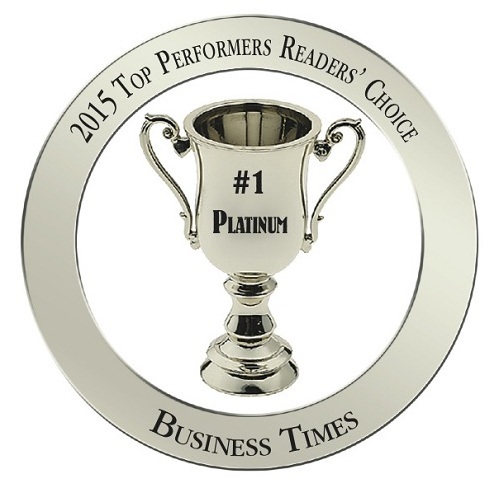 Discover the opportunity and possibilities for your child to love learning and excel. Rowntree Montessori Schools provide a proven diverse academic programme, which engages children in academic awareness. The children develop their knowledge at an early age as they begin to acquire strong foundations of social, emotional, physical and oral development. While children still have the opportunity to learn through structured play, they are introduced to a variety of learning experiences at younger ages in smaller class sizes. In our programme, our teachers begin to build a strong foundation of oral language with our pre-school aged children and we continue to expand upon their development of reading and writing. Often by the age of 6, most children are able to independently read books with easy text, paragraphs and chapter books. The introduction of printing skills and tracing sand paper cursive letters also starts before the age of three, both of which form the basis to begin cursive writing by age 7. Most children by the age of three begin to establish a sound base of the French language, through songs, games and a hands-on approach and by the age of 6 they are beginning to communicate and understand the French language. Starting with our youngest students, Math is introduced through concrete learning experiences, starting with simple Montessori apparatus and throughout the years the children build upon their prior knowledge. At the age of 6, children often have an understanding of place value and number representation. Children are also often able to work independently with regrouping as well as adding and subtracting double-digit math problems. Social Studies are introduced by the age of three. Children begin to understand their relationship to the world in which they live. Often children are able to label the continents and provinces on a map and they can identify where they live on a globe. We foster the connection that they make to the world, as they begin to understand their sense of self. They become knowledgeable of the diverse communities and as such, learn the value of an inclusive society. With a curriculum that is reviewed and updated on a regular basis to provide a solid foundation, children are encouraged and challenged to work to their full potential at RMS; this is one of the first steps in the continuum of lifelong learning.